Cedar Woods’ $2.5 billion master-planned community, Williams Landing, is expected to see construction commence on its first aged care facility. 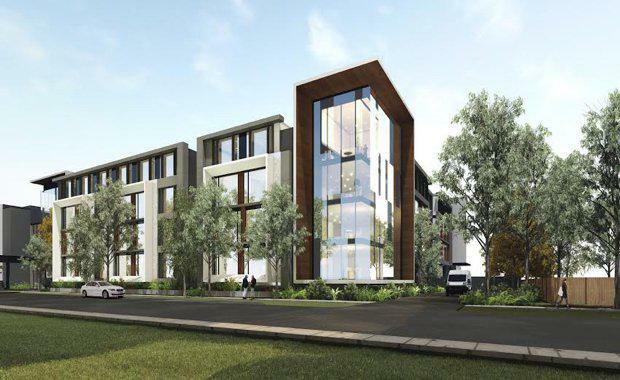 Planning approval and licenses have been granted for the first stage of the project, worth $30 million, delivering 120 aged care suites to the community. TriCare purchased the parcel of land from Cedar Woods earlier this year after noticing the demand for aged care facilities in the western region of Melbourne. “We chose Williams Landing as the location for our first Victorian aged care facility as the town centre offers a number of benefits for this type of facility in western Melbourne," TriCare Director Peter O’Sheay said. The introduction of the aged care facility reinforces Cedar Woods’ commitment to developing a true multi-generational community. Williams Landing will soon open their first childcare centre, Future kids, which has capacity for 100 children. Cedar Woods State Manager Patrick Archer said the Williams Landing is intended for diverse use as a multi-generational community that has "accommodation and facilities for all ages", and the TriCare facility is a step in right direction towards reaching the goal. Cedar Woods recently finished the $6.5 million expansion of the Williams Landing Shopping Centre that has allowed Jetts Fitness, Pizza Fellas and Montezuma’s Mexican to join the community, reflecting the ongoing commitment to creating a vibrant town centre and retail precinct. The new aged care development is set to become a leading facility in the west, being highly attractive to future residents for its city views and location next to parkland. The first stage of TriCare’s construction includes standard and premium resident suites, landscaped courtyard, café, communal lounge spaces, private dining, and a health and wellbeing precinct including therapy services, dentist and a hairdressing salon. Stage one of TriCare’s construction is due to commence in early 2017 and expected to be completed by the end of 2018. Approval of Stage two has been received which includes the provision for 143 additional suites. Construction of Stage 2 is dependent on licence approval from the Federal government. Williams Landing is a vibrant and growing community that boasts its own train station, allowing easy access to Melbourne CBD and surround areas. TriCare own and operate retirement villages and aged care facilities in Australia, predominantly in Queensland. The Williams Landing project is their first Victorian aged care facility.